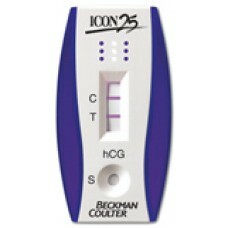 Beckman Coulter Icon 25 HCG Pregnancy Serum & Urine Combo Cassette Test Box-25.. 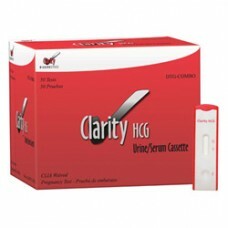 Clarity hCG Combo Urine/Serum Pregnancy Test Kit Sensitivity: 20 mlU/ml Specificity: 100% - No c.. 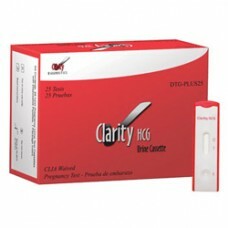 Clarity hCG Urine Cassette Pregnancy Test Kit Sensitivity: 20 mlU/ml Specificity: 100% - No cros.. Clarity hCG Urine Strip Pregnancy Test Kit Sensitivity: 20 mlU/ml Specificity: 100% - No cross r..